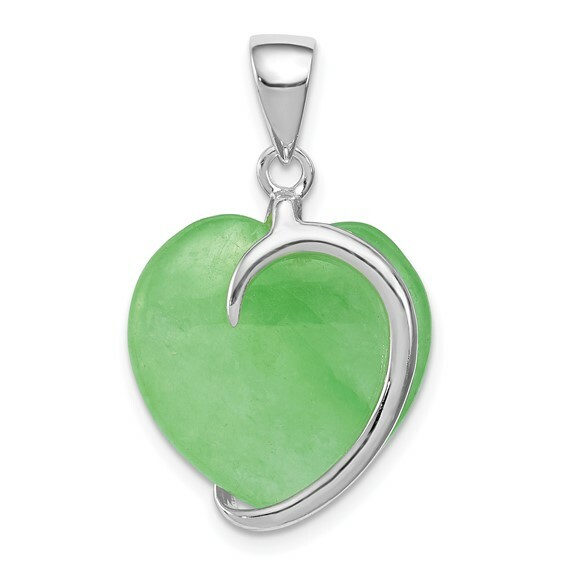 Sterling Silver Green Jade Heart Pendant. Weight: 3.5 grams. Measures 11/16 inch tall by 5/8 inch wide without the bail. Chain not included.